Calm but classy vibes, sophisticated window shopping, city-view dining and one of the most spectacular toilets in Tokyo among the reasons why you should be taking your date to Tokyo's Nihombashi district. Call it a sign of age or put it down to geography but in recent years this expat, who’s always lived in and around Tokyo, has finally become tuned into the appeals of Nihombashi, the district of the Japanese capital most famous for its historical bridge, the point from which all distances to and from Tokyo are measured. “Age” because when I first arrived in Japan, and Tokyo specifically, I was so besotted with the urban, sexed-up, neon-illuminated chaos of station areas like Shinjuku and Shibuya that rare visits to Nihombashi seemed staid and dull. Fast approaching 40 though, Nihombashi’s comparative calm and lack of screaming vans and massive digital displays is now something in which I seek relief rather than stimulus. “Geography” because I live in Urayasu, just across the border in Chiba. Urayasu Station is served by the Tokyo Metro Tozai Line and Nihombashi, less than 20 minutes away, is the nearest station area of significant size in Tokyo. Nihombashi though has a lot to offer as a date spot for any couple old enough to do what it is that most couples like to do. Taking someone on a date in Nihombashi is a sign of understated class, perhaps revealing of an appreciation for the finer things in life. 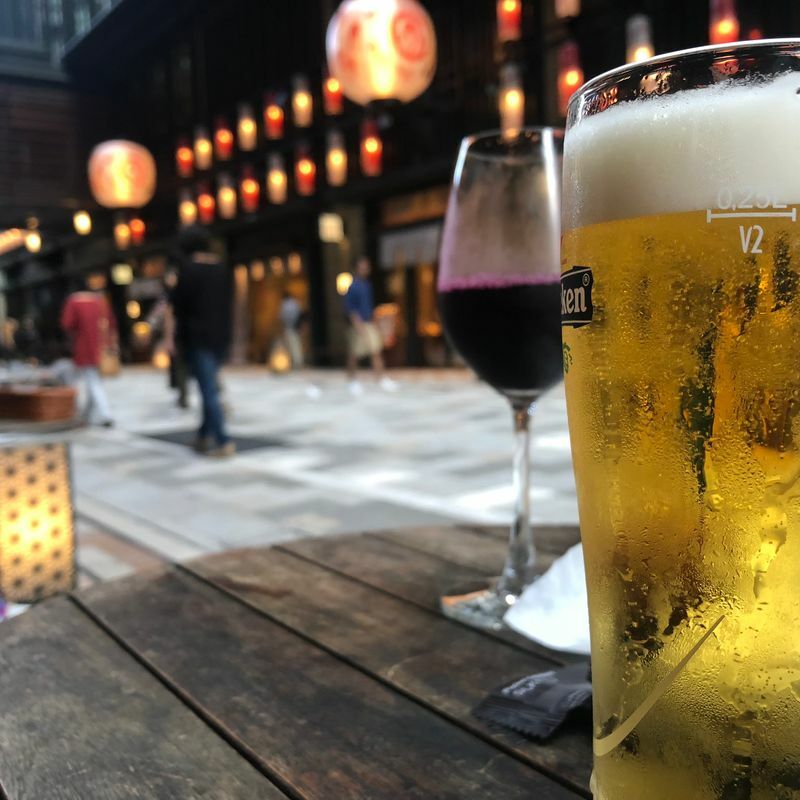 But first to the basics of what makes Nihombashi such a great date spot -- sidewalks here are calm and spacious and backstreets largely free of traffic (vehicular and pedestrian) meaning it’s easy to go for a stroll and have an uninterrupted conversation while doing so. There will be little need for breaking the flow as you attempt to weave your way through crowds and go single file when a car comes past. It’s quiet without being awkwardly so, there is little in the way of overt and highly-sexed promotion (meaning we can keep our attention on where it should be most attentive) and Nihombashi comes in the kind of neutral hues and tones and sensible town planning so as not to cause offense to anyone. Not that it doesn’t impress. Broad avenues flanked by bold skyscrapers and architectural nods to grander European cities, and an atmosphere thick with the scent of appreciation for the finer (read ‘expensive’) things in life lends Nihombashi an impressive air. A classic date in the area might start with the safe zone of dating procedure, particularly for new couples, window shopping! And Nihombashi excels here, particularly in the field of that which I can’t afford. It doesn’t matter though, we’re here to point at, pick up and prod only. Start south of Nihombashi (the bridge) at department store Takashimaya the main wing of which is a designated important cultural asset and the flagship of the Takashimaya brand. A new wing of the department store opened in September of 2018. Head to the main building for the designer brands or the east building for the Pokemon Center. If you’re a fan of watches prepare to break out into a cold sweat at Watch Maison, a kind of Takashimaya annex across the street, which houses just about every watch you’ve ever dreamed off, or can’t afford (in my case at least). Head north along Chuo-dori making your way to THE bridge being sure to take a gawp up at the vast glass frontage of Coredo Nihonbashi on your right just before the river. In terms of visual experience, and as a geographical center, Nihombashi is probably a bit underwhelming save for the finely sculpted dragons that guard the old street lamps at the bridge’s apex. 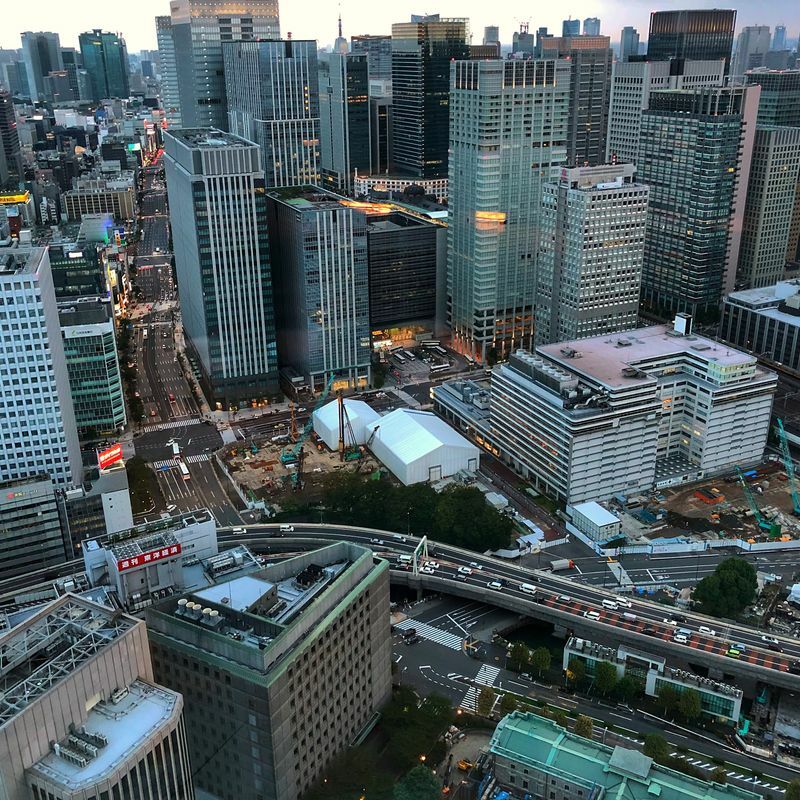 Still, this is significant territory, a Japanese landmark groaning under the weight of history and a modern, elevated highway that surely highlights the absurd anathema that sometimes constitutes town planning the capital. It’s a photo spot at the end of the day - if your date is ready for such a thing! 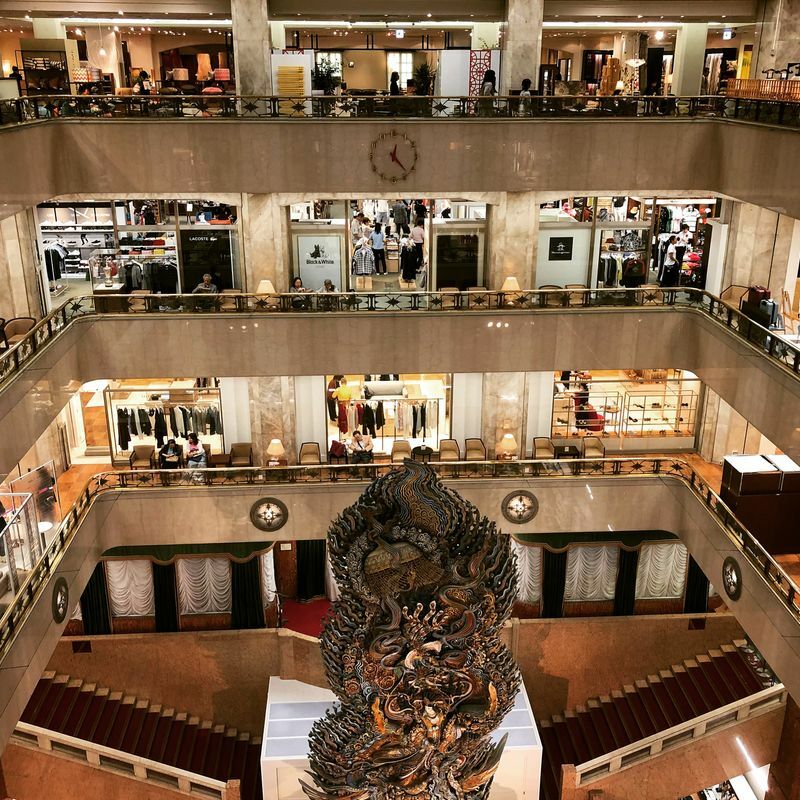 If you’ve still some window shopping left in you, then another Nihombashi department store giant, Mitsukoshi, awaits just the other side of the bridge. This is the one with the lions guarding the entrance, and is widely regarded as the first department store in Japan. A box-ticker if nothing else. Like the lions though, it’s a fine and regal place for a browse. Head to the basement food area to work up an appetite. Let’s say the focus of your date is dinner (more on that later). In which case stay on Chuo-dori for another hundred meters until you reach Coredo Muromachi on your right. 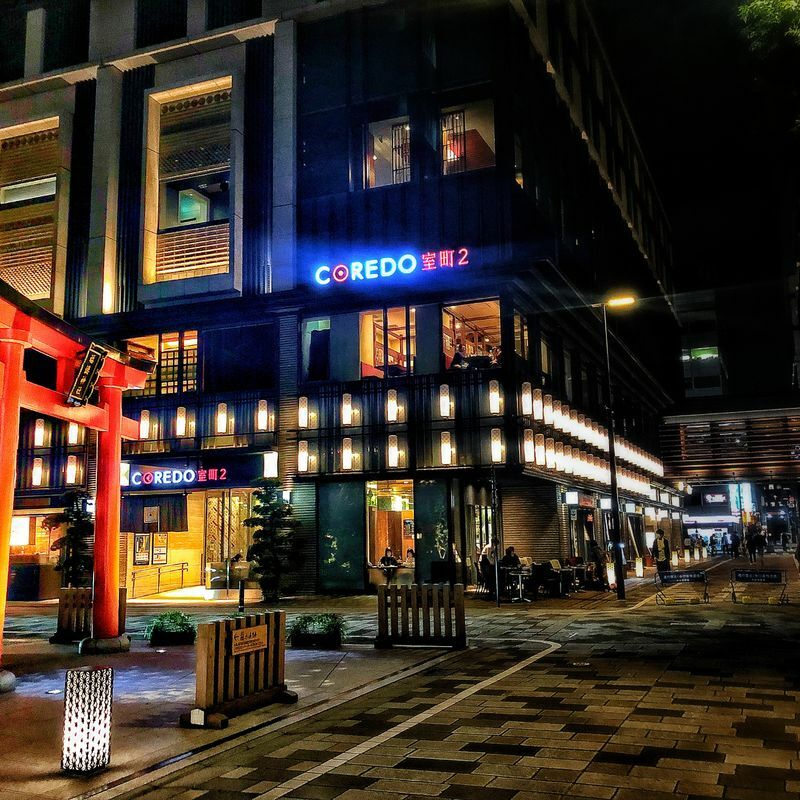 Coredo Muromachi is a shopping, entertainment and dining complex designed to reflect a modern Edo, made up of three buildings. Each of the Muromachi buildings is linked by pleasant walkways and public spaces that are beautifully lit in the evening. Among the complex is the Nihonbashi Mitsui Hall which is often host to interesting exhibitions and events. At the time of writing Japan’s “first hanami of the year” Flowers by Naked was in the middle of its temporary run. The hall has also been host to illuminated goldfish extravaganza, Art Aquarium. Approach with a little caution though, as such exhibitions can draw time-sapping, leg-sapping, conversation-testing queues. If an exhibition doesn’t take your fancy, how about a movie at the nearby Toho Cinemas? Either way, the atmosphere around Coredo Muromachi lends itself to an aimless wander. There are some nice street side eateries and bars here where, weather permitting, it’s great to sit outside with a beer and watch the foot traffic pass by. Stop in at Vinosity Maxime for wine / beer / coffee if there are tables free. 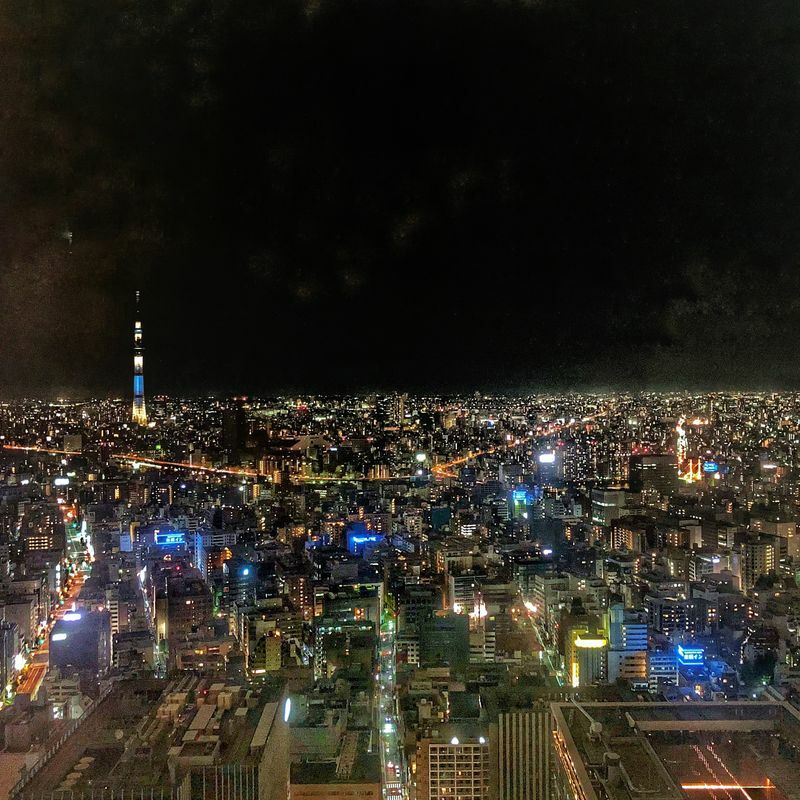 After a street side beer aperitif, for a spectacular-date dinner head to Italian restaurant K’shiki located on the 38th floor above uber luxury hotel Mandarin Oriental just up the road from Coredo Muromachi. Dinner at K’shiki is from 17:30 - 23:30. It’s probably better to make a reservation and if you select a slot between 17:30 - 18:00 you’ll likely have no trouble getting a table by the window from which you’ll get an eye-popping city view. The early time (depending on season) means you’ll get to take in both daylight and city lights versions of the view. It’s worth it! K’shiki is classy dining without the need to feel intimidated. Although on the approach to the restaurant there’s the potential to feel a bit overwhelmed by the luxury of the hotel. The 5-course “Il Giusto” diner menu at K’shiki is around 6,000 yen. It might be a stretch, but it’s arguably worth it for the view and the atmosphere alone. 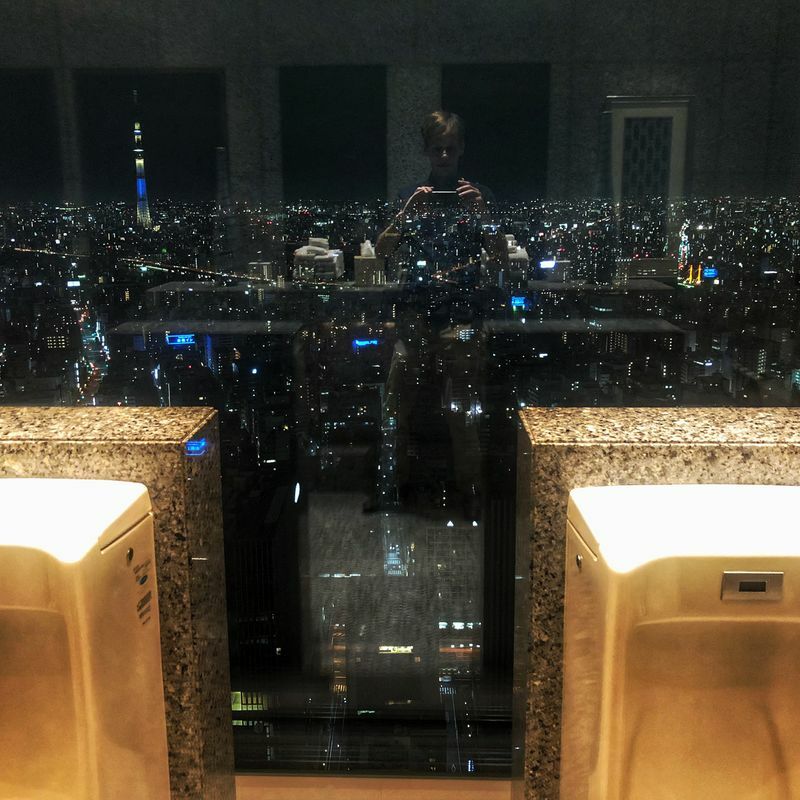 I can’t speak for the ladies, but gents, don’t miss a trip to the toilet (outside the restaurant, on the same floor) where the urinals are set against floor-to-ceiling glass such that you can have a view to Tokyo Skytree while doing your No. 1s. Possibly the most spectacular toilet in Tokyo? Definitely a contender. Should a restaurant like K’shiki be out of (price) range there are plenty of more reasonably-priced options around Coredo Muromachi. Bikini PICAR in Coredo Muromachi itself is a Catalan Spanish joint that does nice tapas, perfect for sharing with a date. Try the prawns! If you’re there early, from around 18:00, a reservation won’t be needed. 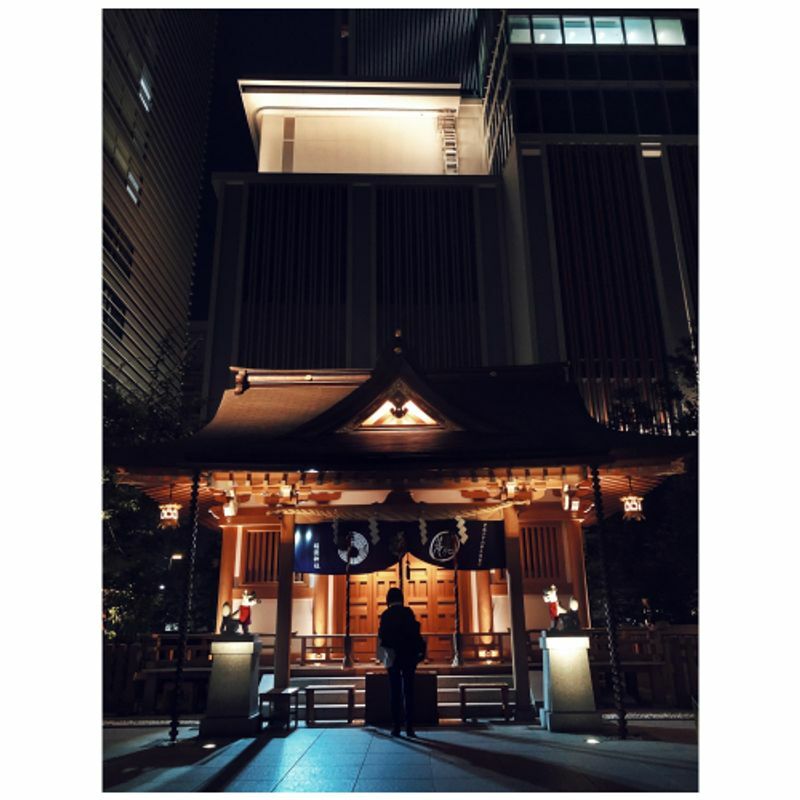 Head back to Coredo Muromachi and walk off a stuffed stomach while enjoying the night-lit mood of the area. The area around Fukutoku Shrine, located in the heard of the complex, is particularly romantic at night. Take in a post-dinner drink if stomach room permits. Those who’ve got the legs can make a romantic stroll of it, perhaps grabbing a take-out coffee, as they head back to Nihombashi (the bridge) to see it at night before heading home (Together? Separately?) from Nihombashi Station. If you can’t be bothered with that, Mitsukoshi-Mae Station is a short hop from the Coredo Muromachi complex. Ever been on a date in Nihombashi? How did you get on? 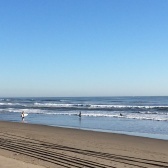 P.S - Most of the images in this post have been heavily Instagram filtered.